FAT Haco have designed and manufactured an automated FCT 700 x 4100 lathe for a special application, but easily adaptable for similar components . 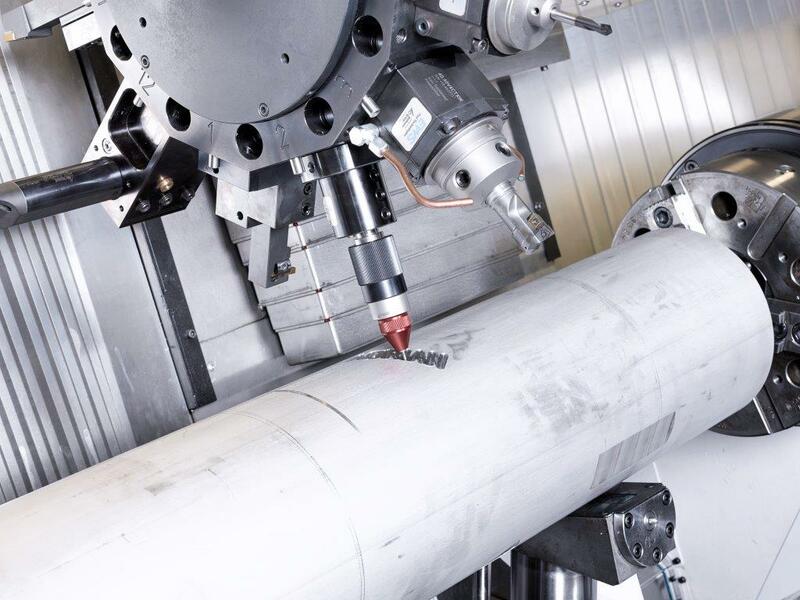 This quality complex slant-bed lathe is designed for highly efficient machining of thin aluminium pipes and is also equipped with an automated loading system for quick loading and clamping of workpieces. 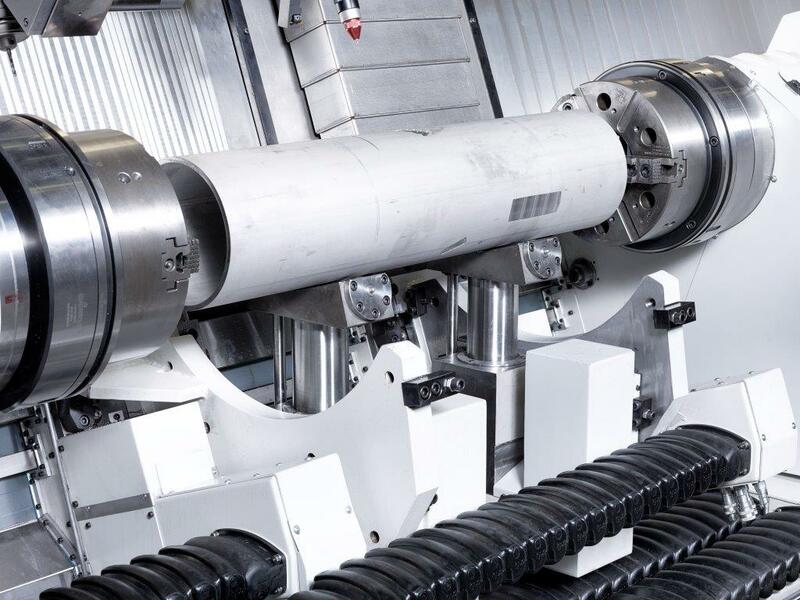 Workpieces of varying diameters - up to Ø580mm over the carriages - are loaded into the machine and elevated to the centreline using hydraulics supports and clamps. 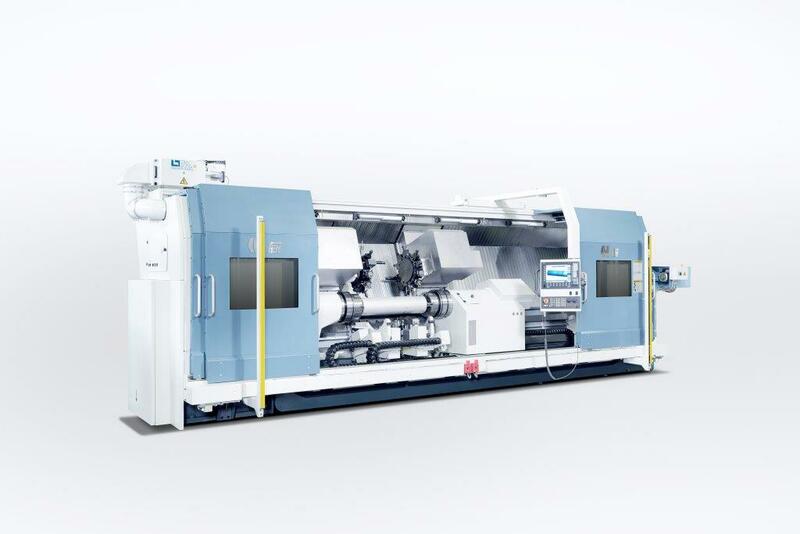 The FCT is equipped with twin overhead carriages, each having a 12 station driven tool turret and Y axis, this configuration permitting simultaneous off-centre machining for maximum throughput and flexibility. The machine is also fitted with a driven sub-spindle to allow for parts of varying lengths to be accommodated. Find out more about FAT Haco and the range of lathes available visit the Products page for more details, or alternatively, follow Leader CNC Technologies on Twitter or Facebook.